There are several legal ramifications of starting a business. It can lead to issues related to liability, copyright, employee rights and everything in between. So one of the first steps you should take as you work to get your business off the ground is speak with an experienced business attorney. Ben De Leon is the President of De Leon Washburn & Ward, P.C., where he has served as general counsel to some of the fastest growing companies in Texas. 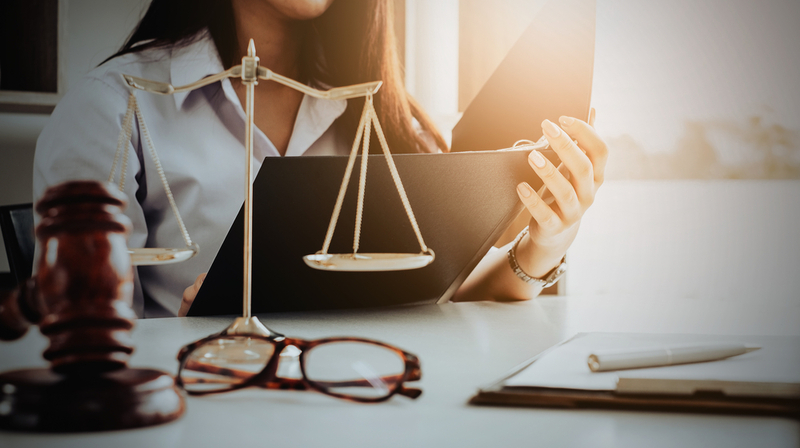 As an experienced business lawyer, he recently spoke with Small Business Trends about some of the most important legal issues that new entrepreneurs should discuss when getting started. Here are some of the top things to consider. There are several different business structures that you can choose when you’re forming your company, including LLCs, S corporations, C corporations, partnerships and sole-proprietorships. So speak with an attorney who can explain each option for you and then listen to your vision for your company so they can guide you in the right direction for your specific situation. No matter what specific structure turns out to be the best choice for your business, it’s essential that you structure it in a way that limits your personal liability and protects your non-business assets. Another part of getting your business officially up and running is choosing a name. Each state has its own processes for officially selecting a name. And you also need to be sure that you’re not infringing on any existing copyrights or trademarks with your name choice. So a business attorney can help you make sure your name of choice is available and walk you through the necessary paperwork. If your business has any outside investors, it could impact the type of corporate entity you’re able to establish for your business. Specifically, you need to be sure that the structure provides a corporate shield for your investors as well as yourself. If your business has multiple partners or owners, you also need to have clear agreements about what is expected of each person and what the responsibilities are in terms of purchasing property or equipment. It’s best to have contracts or signed agreements in place when you’re just getting started so that all parties involved understand what is expected of them and what they are entitled to in any given situation. This can help you avoid contentious disagreements that could lead to legal battles down the road. Then you also need to create some bylaws for your company as a whole. These should outline all of the rules that owners and management should follow over the course of running the business. The federal government and each individual state have requirements for record keeping, safety practices and a number of other business related processes. So your business needs to know exactly what is required in order to comply with all of those rules and regulations. Your lawyer can walk you through some of those issues and make sure you know exactly what records must be kept on hand and for how long. Insurance can help you avoid costly issues down the road. Speak to your legal representative to discuss what types of coverage you might need or at least benefit from, including coverage for workplace injuries, data breaches, or non-injury claims made by employees or customers. Once your business starts working with vendors, suppliers, clients, or any other third parties, you’ll need written agreements in place to ensure that all parties involved know what to expect. A lawyer can help you draft specifics or at least walk you through the creation of some templates that you can use in common situations. Your legal representation probably isn’t going to do your taxes for you or manage your books. But there are some tax ramifications of choosing different corporate entities or making some of the other decisions listed above. So it is important that you also have a good CPA in your corner, and your lawyer might be able to refer you to one so they can work in tandem on some of those important issues.